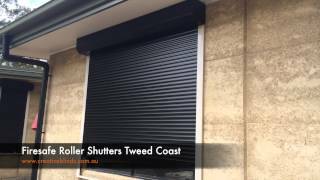 Multi-purpose Roller Shutters simply tick all the boxes. In addition to their inherent good looks, they provide your home with protection from the elements, and exceptional security from intruders. 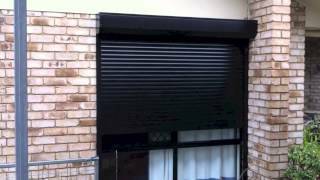 Roller Shutters reduce glare, and are great for people wanting more privacy. Shift workers and parents of young children love them for their daytime room darkening properties. 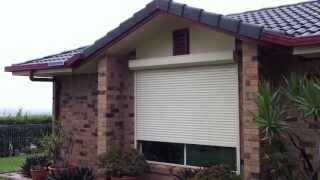 Roller Shutters really come into their own in extreme weather, and help to minimise damage caused by storms and hail. 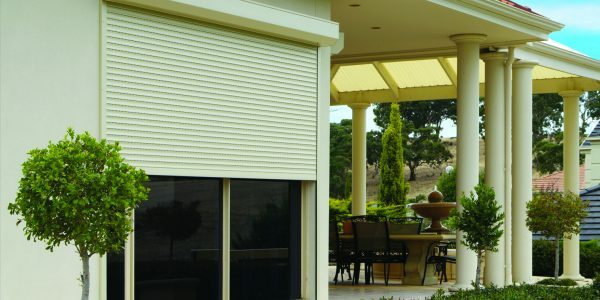 They are also an excellent choice for people living in bushfire and cyclone prone regions. Starting from $670 – Depending on material, accessory options and control options. Based on size 1500mm x 1200mm. 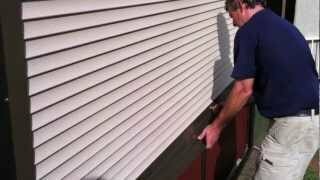 Roller Shutters have outstanding insulation properties, keeping your home cooler by as much as 90 per cent in summer. In winter, they reduce heat loss by up to 70 per cent. They also help to reduce noise transfer, which is great news for people living near busy roads, airports, or in generally noisy neighbourhoods. Creative Blinds is pleased to supply ‘CW’ Roller Shutters. ‘CW Product’ are a well-known and highly trusted brand, constructed from durable aluminium. ‘CW Products’ manufacture high quality Roller Shutters sourcing the best components and highest quality Aluminium coils and extrusions from key international partners. Roller Shutters can be fitted to both windows and doors, and may be operated either manually or via motor from the comfort of your home. 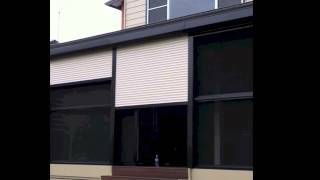 A Creative Blinds consultant is able to guide you in the complete range of options available.